Skills in applied economic and financial analysis are valued by employers worldwide. This topical and highly relevant degree equips you to help financial institutions and business organisations to solve complex problems. This programme is accredited by the Chartered Institution for Securities and Investment (CISI), the largest and most widely respected professional body for the securities and investment profession in the UK. Combining essential themes in both economics and finance, this professionally accredited degree opens doors to a variety of high-quality, lucrative graduate careers. Accredited by the Chartered Institution for Securities and Investment (CISI), our BSc (Hons) Economics and Finance fosters your skills in applying economic and financial theory, perspectives and approaches to real-world problems. It features strong engagement with employers and live practical projects with businesses. You will become proficient in undertaking economic research and analysis, handling complex financial data sources, diagnosing problems and taking the high-level decisions expected of an applied economist. We cover a broad range of microeconomic and macroeconomic issues, quantitative methods, computing techniques and business performance concepts. You will also gain a sound knowledge of the workings of economic systems, the impact of government policies and the performance of different economies worldwide. We are proud to work in partnership with Bloomberg, the global business and financial information leader, to provide you with learning resources at the cutting edge of economics. Using the outstanding facilities in our Bloomberg Financial Markets Lab, you will be trained to use the same information and technology harnessed by leading financial professionals across the globe. You will benefit from vital insights into trading floor activities, analysis of current affairs from Bloomberg Intelligence and access to a wealth of data, including company and director profiles from around the world. In addition, you can make the most of the Bloomberg helpdesk and can even work towards the Bloomberg Market Concepts Certificate to bolster your CV. 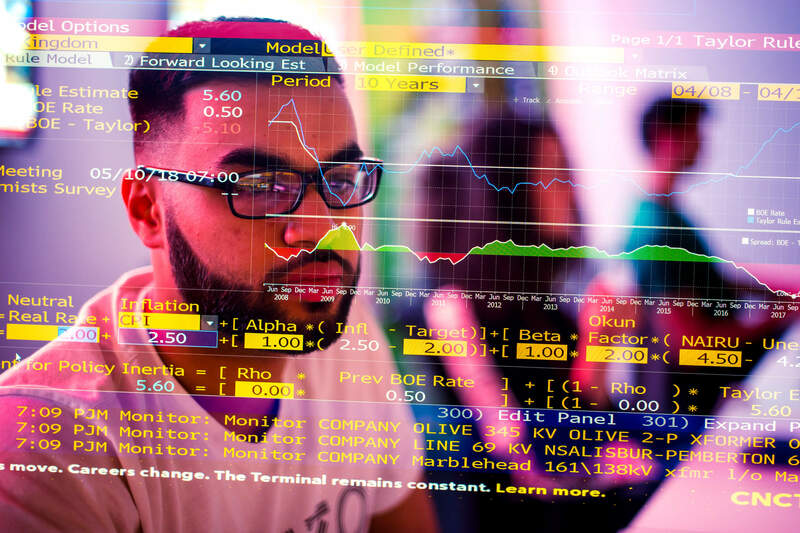 University of Derby students have access to real live Bloomberg data and can experience what it’s like to work on a trading floor in our Bloomberg Financial Markets Lab. A placement or internship helps you to appreciate the importance of effective economic and financial analysis in the workplace. Between stages two and three of the BSc (Hons) Economics and Finance, we encourage you to undertake a placement or internship, either in the UK or abroad. Opportunities range from three-month summer internships to year-long placements. We offer full support and guidance to help you find the right opportunity to match your career aspirations and interests. Thanks to our strong employer and professional links, you could compete for international placement experiences with major names such as PwC, DHL and the Institute of Directors. We also provide you with the chance to study abroad – based with one of our international partner institutions – for a semester or a year, usually in stage two of the course. Alternatively, you can join one of the short study visits abroad we organise each year. You can improve your portfolio of transferable skills by gaining an impressive additional award alongside your degree. Through our Futures Award scheme, you can showcase your versatility and potential to prospective employers. A Futures Award recognises any extra-curricular activities you undertake which contribute to your personal and professional development. Relevant activities could include attending workshops on CV design and improvement; developing techniques for interviews, assessment centres or psychometric tests; taking part in networking events; or leading a small project within a student society or voluntary role. Our industry-experienced teaching team conducts significant research which is informing current debates about key economic and financial issues. They also publish widely, including one of the main economics textbooks used in universities. Staff are committed to your study and career success, which is underpinned by our specially designed personal tutor system. You will meet your personal tutor during induction week and have at least three scheduled meetings with them each year. They will help you plan your personal and career development as well as supporting your work towards the Futures Award. In addition, you will interact with business experts, industry leaders and finance professionals. You’ll hear about latest developments in the City from high-profile figures such as our visiting professor, Lloyds Chief Economist Trevor Williams. Our students have also attended major events addressed by the likes of Dr Ben Broadbent, Deputy Governor - Monetary Policy for the Bank of England. Employers are closely involved in shaping the BSc (Hons) Economics and Finance. They provide real-world case studies, practical scenarios, guest lectures and consultancy projects which will enhance the currency of your studies. You could also join a range of societies at the University such as the Economics, Trading and Investment Society, the Business and Entrepreneurial Society and the Derby University Network of Entrepreneurs (DUNE). There may even be the chance to take part in high-profile competitions. In February 2018, our students scooped three major awards at the , pitting their wits against fellow undergraduates and postgraduate students from leading institutions countrywide. This is the fifth year running that Derby University has come away with awards demonstrating the wealth of practical skills that are taught in our Economics courses. 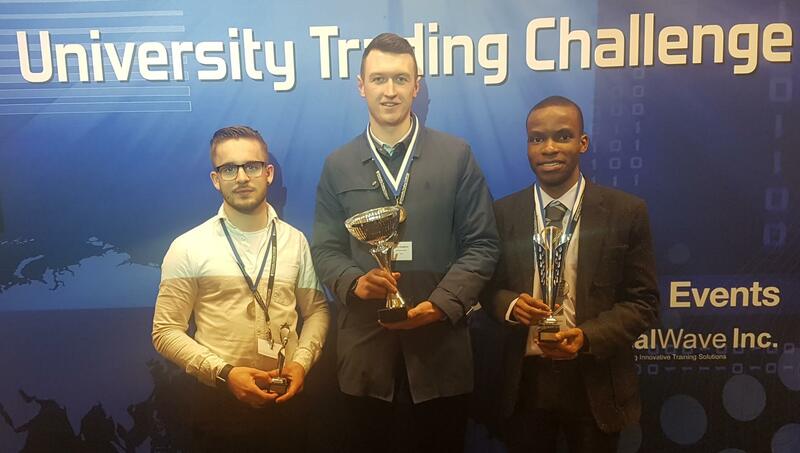 Economics for Business student Jake Gonella won a number of awards during the University Trading Challenge and has been recognised for his exceptional trading skills. This programme is accredited by the Chartered Institution for Securities and Investment (CISI), the largest and most widely respected professional body for the securities and investment profession in the UK. This degree has been closely mapped against CISI’s Introduction to Investment foundation qualification, helping to prepare you for its exam. The Introduction to Investment qualification is widely recognised by companies, institutions and professionals. It is the first step on the CISI qualification pathway, and is also recognised by the UK Financial Conduct Authority (FCA). It will be of special interest to you if you are interested in a career in wealth management, operational investments, financial planning, compliance and risk, and stock broking. Between stages two and three, you can choose to go on a year-long work placement, undertake a summer internship or take a study abroad option. We use a compelling combination of lectures, expert speakers, problem-solving seminars, group work and discussions, workshops, case study analysis, computer lab work and practical analysis. Throughout your studies, you will also engage closely with businesses and external experts to develop your professional outlook. You may find yourself analysing news reports, creating strategy documents, interpreting financial reports, undertaking research tasks, harnessing latest software, delivering presentations, videos and broadcast interviews, tracking your own portfolio of investments, or analysing information from Bloomberg on international markets and organisations. At the start of the course you will benefit from substantial direction from our teaching team. As your studies progress, you are expected to work more independently, taking greater responsibility for your own learning – but always with the support and advice of your tutors. Our assessment strategy is designed to ensure you can identify issues, decide how to collect and analyse evidence, come to reasoned conclusions based on that evidence, and present your findings via various methods of communication. At Stage 1, we use a range of computer-based assessments to help you gauge your own level of learning and to gain constructive feedback. Some modules involve more traditional essays and reports as well as a mixture of individual and group tasks. You will also be encouraged to keep a reflective portfolio. At Stage 2, there are further assessments of your individual and group work and your report writing skills. We also use innovative methods of assessment to develop your media and communication skills. You are expected to advance your professional analysis experience through data retrieval and quantitative analytics using Bloomberg. This is reflected in computer, portfolio and report-based assessments. At Stage 3, you will be improving the most important elements of your toolkit as a professional economist and financial analyst: your research and consultancy skills. Through the Applied Economic Project, you will apply these skills to a live project involving a business. 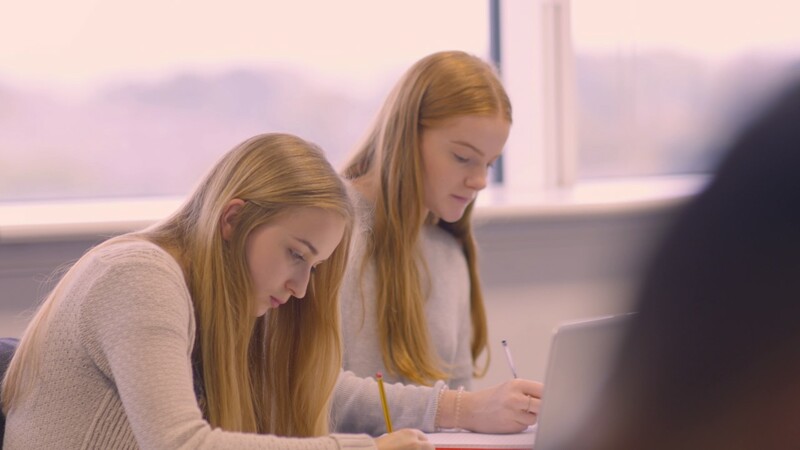 At Derby you will discover a friendly and supportive learning community, with small classes where you will receive plenty of one-to-one advice. You will be taught by an enthusiastic team who are experienced in all aspects of business and whose research will enrich your learning. They are supported by industry experts, including our Visiting Professor of Banking and Financial Economics, Professor Trevor Williams who is Chief Economist at Lloyds Bank PLC. 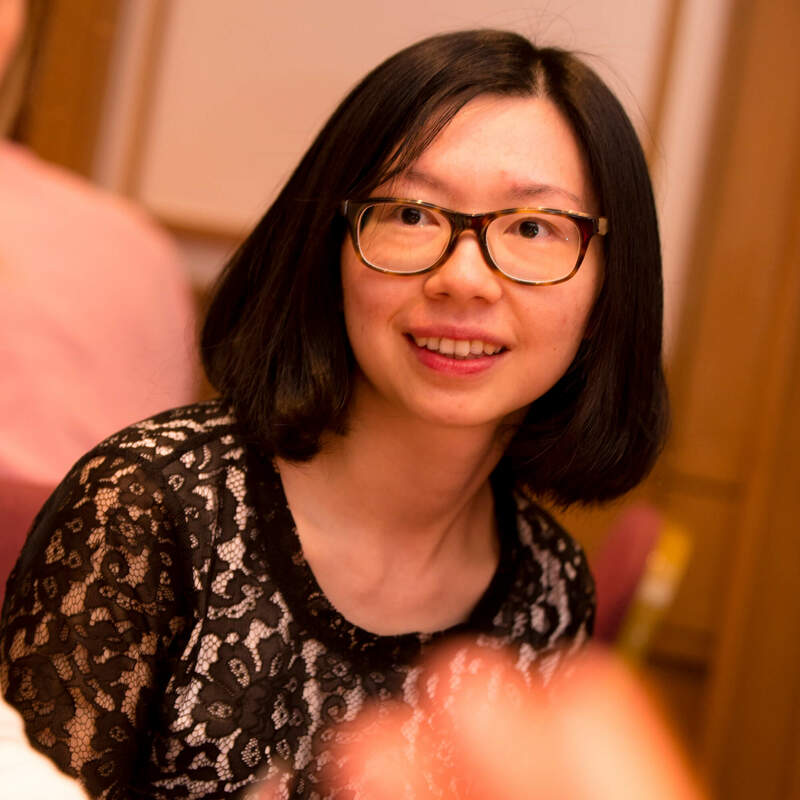 Your programme leader Dr Weiwei Yang is a Senior Lecturer in Economics and Finance. Her research interests lie in areas such as banking efficiency, market competition, corporate governance and corporate social responsibility. Her teaching philosophy is to inspire students to move from passive to active learning. There is a consistent demand for Economics and Finance graduates so the powerful combination of skills you gain on this degree paves the way to fulfilling career opportunities. This could be your stepping stone to a lucrative graduate training scheme or a well-rewarded financial consultancy role. Your applied skills in economic and financial analysis will be valued across the public, private and voluntary sectors anywhere in the world. Alongside roles in international business, consultancy and finance, you could pursue opportunities in government departments, development agencies, charities and not-for-profit organisations. Further qualifications such as the Bloomberg Certificate and the Futures Award will make an impressive addition to your CV too, distinguishing you from other graduates in the job market. Some of our graduates decide to take their studies to the next level. You can consider advancing to any of the exciting masters programmes offered by our College of Business, Law and Social Sciences – such as the MSc International Business and Finance or MBA Global Finance – you may also be eligible for up to 25% alumni discount on your fees. We’re committed to improving your employability at every stage of your studies. Our Careers and Employment Service will provide you with help, guidance and support from day one of your course – and for up to three years after you’ve completed your studies. Dr Weiwei Yang is a Senior Lecturer with substantial experience of teaching a wide range of subjects in Finance and Economics for both undergraduate and postgraduate students. She is programme leader for BSc Economics and Finance, and BSc Finance. She works closely with professional bodies for accreditations and acts as external examiner for another UK higher education institution. Part funded trip to Copenhagen for 2nd and 3rd year students. Optional with limited places available.